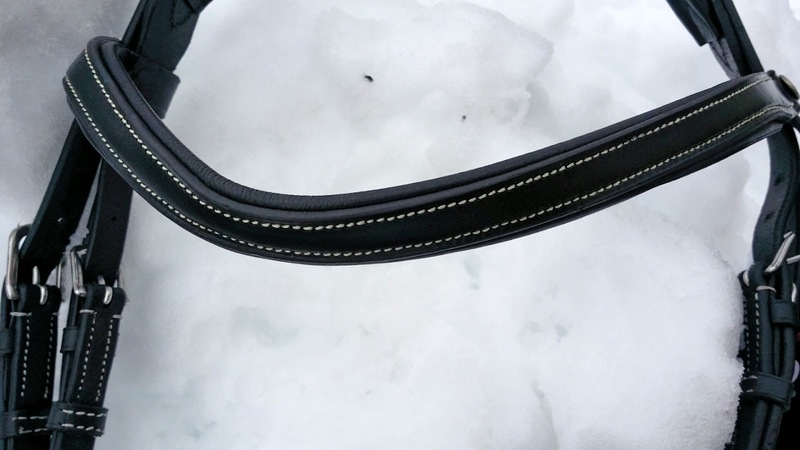 This is the browband -- love the stitching on this Horze Venice Bridle. Soon to be a giveaway! Gorgeous! I hope us Canadian's can participate! This a beautiful bridle! I just started working with leather as a hobby and made my horse a bridle. Now that I have struggled with stitching, cutting, and dying leather, I can better appreciate the quality of this bridle--perfectly, regular stitching, double layers of leather, thick high quality leather, etc. Just look at the reinforcement stitches at the buckles!